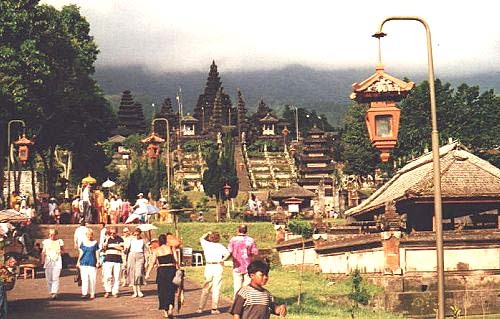 Pura Besakih is the largest temple complex on Bali perched at an altitude above 3000 feet on the side of Mount Agung. It is actually a complex of 23 different related Hindu temples. Even today more temples are being constructed. 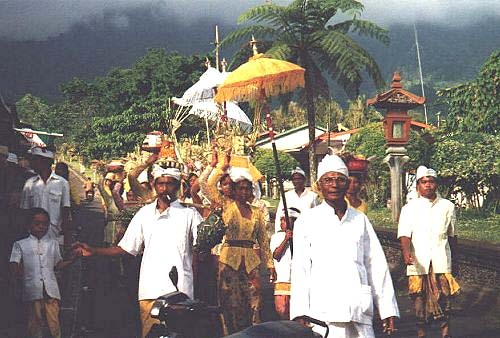 In this photo devotees are decending from the temple complex. I love their brightly colored clothing.